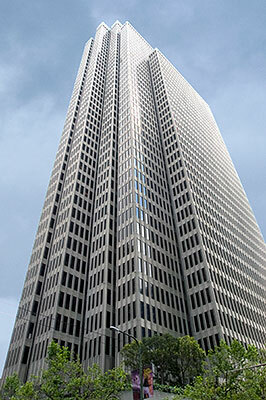 It is easy to overlook the modest plaque on the side of the brick veneer building at 275 Sacramento Street in a block dominated by Building Two of the massive Embarcadero Center. The Sacramento Block was built in the 1850's as a warehouse. 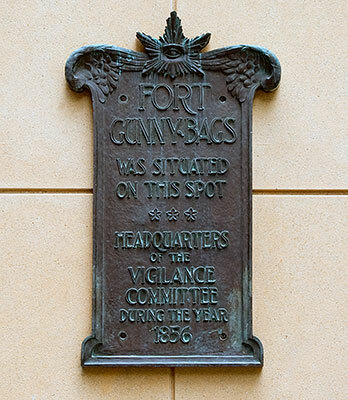 In 1856, the San Francisco Vigilance Committee made it their headquarters and arsenal and fortified it with gunnysacks. 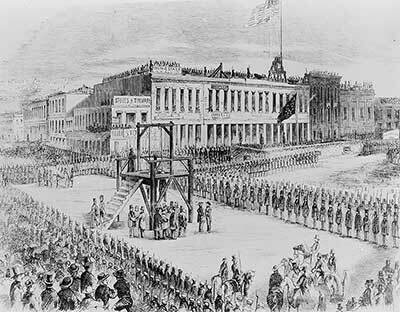 The Vigilance Committee erected a scaffold in Davis Street near Fort Gunnybags and executed Brace and Heatherington (alternately, Hetherington) on July 29, 1856, for unrelated murders. 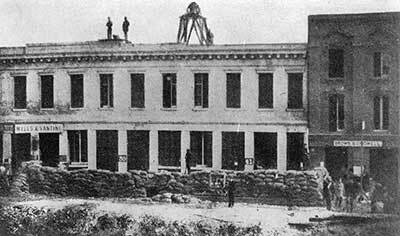 The Sacramento Block warehouse was a simple, two-story Classical Revival building built of brick and stucco. The first floor had casement doors and the second floor had tall casement windows. 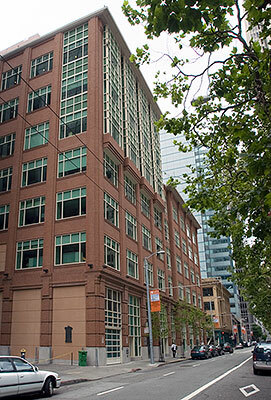 Although the Sacramento Block building was destroyed in the Great Earthquake and Fire, surviving warehouses in the nearby Northeast Waterfront Historic District are similar to the lost building.